When I was a kid, I loved Highlights Magazine! Doesn’t everyone remember the hidden pictures? 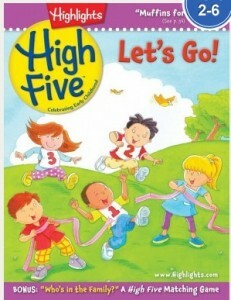 The publishers of Highlights now have High Five for the preschool set. Charlotte adores this magazine. We read each issue cover to cover multiple times! She loves the stories, the hidden pictures, and the RECIPES! Each issue has a recipe you can made with your toddler. 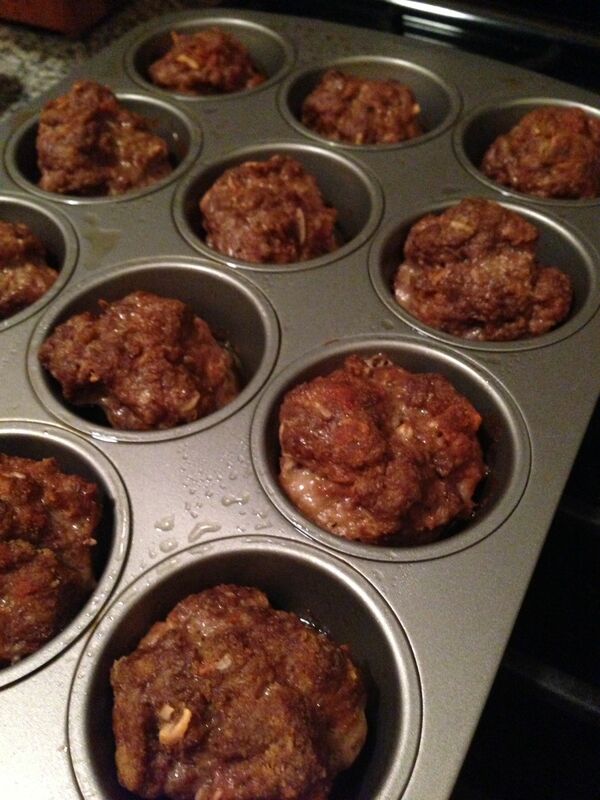 One of our favorites has been Muffin Meatballs. 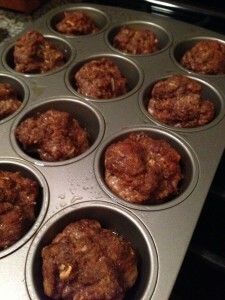 The meatballs are baked in a muffin tin and taste almost like a mini meatloaf. I serve the meatballs with ketchup for dipping along with some veggies for a tasty dinner. Mix all ingredients in a bowl until thoroughly incorporated. Form medium sized balls and place them in the muffin tins. Cook approximately 35 minutes. Let the meatballs stand for a minute or 2, and then scoop them out with a slotted spoon. 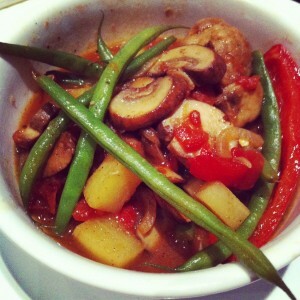 Unfortunately because I was entertaining I didn’t have a chance to take a photo of this very tasty beef stew. But it was delicious and, while it says serves 6, 4 of us devoured it. The beef was so tender and everything had a delicious flavor. The veggies were tender but not mushy because you only add then for the final 40 minutes. I made a few changes. Instead of using the 2 cups of water, I used low sodium beef broth. I had some sliced mushrooms and one potato on hand so I added those at the same time I added the carrots and celery. The potato added a bit of starch and thickened the sauce so I did not need to add the cornstarch at the end. Overall super flavorful. I served with a simple green salad. And, make sure to have some crusty bread on hand. Brown meat in hot oil. Add water, Worcestershire sauce, garlic, bay leaves, onion, salt, sugar, pepper, paprika, and allspice. Cover and simmer 1 1/2 hours. Remove bay leaves and garlic clove. Add carrots and celery. Cover and cook 30 to 40 minutes longer. To thicken gravy, remove 2 cups hot liquid. Using a separate bowl, combine 1/4 cup water and cornstarch until smooth. Mix with a little hot liquid and return mixture to pot. Stir and cook until bubbly. Who doesn’t love meatballs?! I also love any excuse for tomato sauce. I could eat pasta everyday but I don’t think any of my clothes would fit if I did. 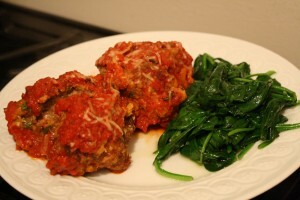 This recipe caught my eye b/c they are big delicious meatball without the pasta! 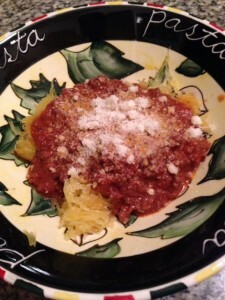 The meatballs were super hearty and the quick tomato sauce was very tasty! 1 to 2 meatballs per person depending on your sides should suffice. I served the meatballs with sauteed spinach. So delicious! While the meatballs are baking, make the sauce. Heat the olive oil in a medium saucepan over medium heat. Add the remaining half onion and 1 teaspoon salt and increase the heat to medium-high. Cook, stirring frequently, until translucent, about 3 minutes. Add the remaining half garlic and cook until aromatic, about 1 minute. Add the tomatoes, bring to a boil, and lower the heat to maintain a vigorous simmer. Cook, stirring occasionally, until reduced to a thick sauce, 10 to 15 minutes. Taste the sauce and add a pinch or two of sugar if it seems too tangy, and season with more salt if necessary. Stir in the basil and keep warm until the meatballs come out of the oven. 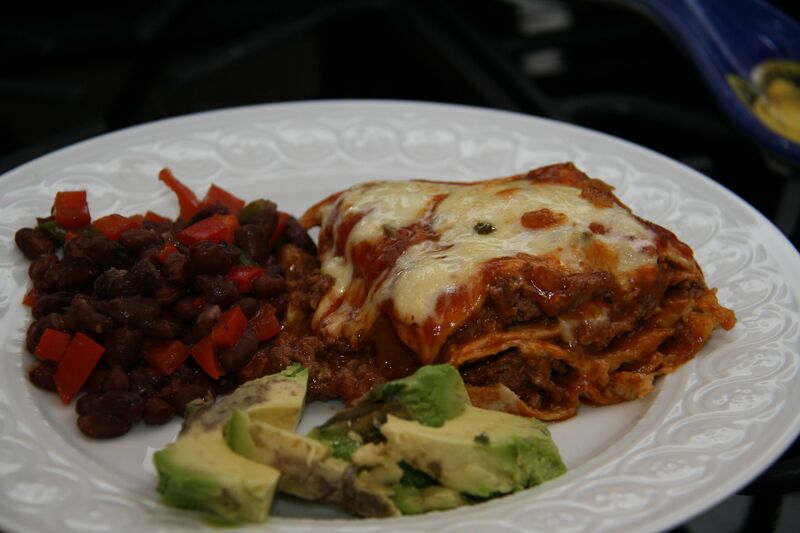 This Mexican-style lasagna will definitely be a crowd-pleaser. 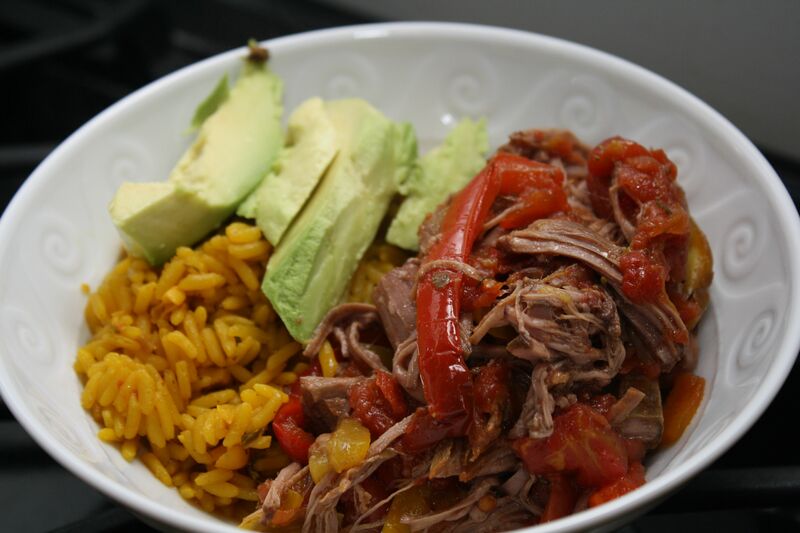 You make a tomato-based sauce with taco seasoning that is similar to an enchilada sauce. Whole wheat tortillas are layered with a beef mixture tossed in the enchilada sauce and then topped with pepper jack cheese. YUM! You can tone down the heat by using Monterey Jack cheese instead of pepper jack. To lighten the dish, try using ground turkey instead of the sirloin. 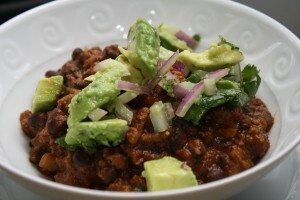 I served the dish with avocado and some simply prepared black beans. Judging by the leftovers (or lack thereof) I would say this recipe was a hit. Heat a large nonstick skillet over medium-high heat. Add beef and onion to pan; cook 6 minutes, stirring to crumble. Melt butter in a medium saucepan over medium-high heat. Add garlic; sauté 1 minute. Sprinkle with flour; cook 30 seconds, stirring constantly. Add broth, taco seasoning, and tomato sauce to pan. Bring to a boil; cook 2 minutes, stirring occasionally. Add 1 1/2 cups tomato mixture to beef mixture; reserve 1/2 cup tomato mixture. Place 1 tortilla in a 9-inch pie plate. Top with 1 cup beef mixture. Repeat layers, ending with tortilla. Spread reserved tomato mixture over tortilla. Top with cheese. Bake at 400° for 10 minutes or until cheese melts. Cool slightly. Cut into 4 wedges. Who doesn’t love meatloaf?! It’s a perfect dinner as the cool fall weather arrives. The Barefoot Contessa Turkey Meatloaf is my go-to but I decided to try a beef – pork version and came across this Emeril recipe. Looked up my alley with the added kick from the chorizo, chili sauce and creole seasoning! I forgot my shopping list at home so I ended up making a fair number of substitutions. I used a meatball mix (beef, pork and veal); seasoned breadcrumbs with some red pepper flakes added because I did not have any creole seasoning; whole milk instead of the heavy cream; and, hot Italian sausage instead of chorizo because I could only find smoked chorizo. 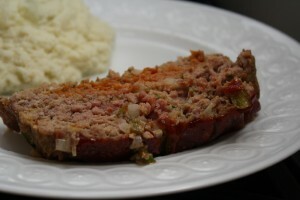 I served the meatloaf with pureed cauliflower for a great fall dinner. The meatloaf was delicious even with my multitude of changes! I will definitely make it again and am curious how it will turn out if I am more faithful to the recipe. Preheat oven to 350 degrees. Line a rimmed baking sheet with aluminum foil; set aside. In a large bowl, combine beef, pork, eggs, onion, breadcrumbs, bell pepper, cream, 1 1/4 teaspoons salt, 1/2 teaspoon pepper, and Creole Seasoning. Gently mix to combine (do not overmix). Place half of meat mixture on prepared sheet; form into a 9-by-4-inch loaf. Using a paring knife, remove casing from chorizo (keeping the shape intact). Place chorizo lengthwise down center of loaf. Cover with rest of meat mixture, enclosing the chorizo and patting to adhere. Brush chili sauce over meatloaf. Bake, basting occasionally with pan juices, until an instant-read thermometer inserted in center of loaf registers 160 degrees, about 1 hour. Let rest 15 minutes before serving. Here is a tasty weeknight meal inspired by Vietnamese cooking. The beef has a great sweet-savory flavor with a nice kick from lots of black pepper. The sauce is comprised of fish sauce, soy sauce, lime juice, and light brown sugar. If you are not familiar with fish sauce, it is a staple in Southeast Asian cooking, especially Thai and Vietnamese. It is made from fermented fish which sounds disgusting but lends a great salty flavor to recipes. You can buy it at an Asian grocery or a gourmet food store. Fish sauce keeps for two years in a dark cabinet. I actually made the recipe using some leftover ground beef I had defrosted as well as some pre-cut “stir-fry” beef. I preferred the ground beef but Tim liked the strips of beef better. You can’t go wrong with either. I served the beef with the chopped peanuts, scallions and shredded carrots. 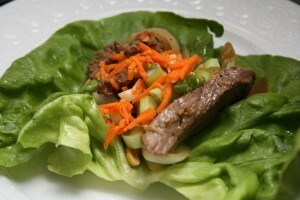 We used Boston lettuce leaves as wraps but the beef would be delicious over rice. If you are a bit lighter with the black pepper, I think kids would find this dish quite tasty as well! In a small bowl, combine the soy sauce, lime juice, sugar, and fish sauce; stir until the sugar dissolves. In another small bowl, stir the garlic, 1-1/2 tsp. of the oil, and 1-1/2 tsp. pepper. Season the beef with salt and pepper. In a 12-inch nonstick skillet, heat 1-1/2 tsp.of the oil over medium-high heat until shimmering hot. Swirl to coat the skillet. Add half of the beef in a single layer and cook, without stirring, until well browned, 1 to 2 minutes. Using tongs, turn the pieces over and brown on the other side, 1 to 2 minutes more. Transfer to a medium bowl. Add 1-1/2 tsp. oil to the skillet and repeat with the remaining beef, adding it to the bowl with the first batch when done. Put the remaining 1-1/2 Tbs. oil in the skillet and heat until shimmering hot. Add the onion and cook, stirring frequently, until it begins to soften, 2 to 3 minutes. Add the garlic mixture and cook, stirring constantly, until fragrant, about 30 seconds. Return the beef and any accumulated juices to the pan and stir to combine. Add the soy sauce mixture and cook, stirring constantly, until the beef and onions are coated and the sauce thickens slightly, 2 to 3 minutes. Serve sprinkled with the peanuts and scallions.